ELLICOTT CITY, Md. — An aggressive new plan to lessen the flood risk in Ellicott City includes the removal of nearly 20 buildings to allow for better drainage. The plan proposes the acquisition and removal of 10 buildings on lower Main Street, which “severely constrict the stream channel, intensifying the flood damage in this part of town,” Kittleman said. The buildings will be replaced with a wider, deeper channel, hopefully within a year. An advisory group has been created to identify key historical features of the buildings that can be removed and preserved. Further up Main Street, two other buildings would also have to be removed to build better drainage features. 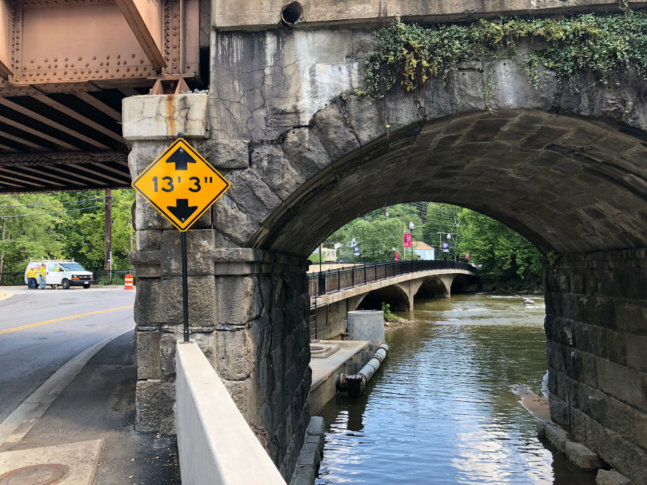 “This will mitigate a significant pinch point that causes the water to rush out onto the upper part of Main Street during heavy rainfalls,” Kittleman said. Additionally, expanding the stream channels in the city’s West End area would require the acquisition and removal of seven residential buildings. Kittleman said that in all, the structures the government is looking to acquire amount to 5 percent of the historic district. Ellicott City is at the convergence point of multiple waterways, and stream channels run under streets and buildings. Upstream water retention ponds would also be built under the plan. Kittleman pointed to similar flood-mitigation projects in Hebden Bridge, England, while Council Member Jon Weinstein compared the effort to what’s happened in Frederick, Maryland. 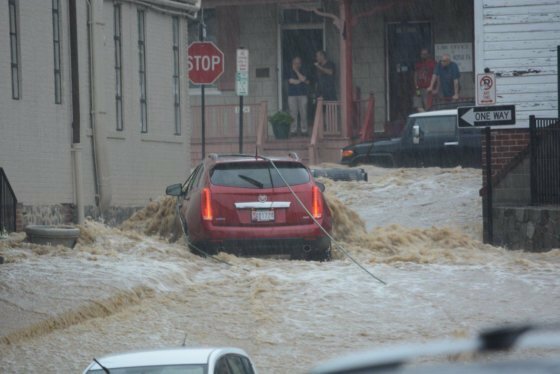 The changes in Ellicott City would not eliminate the flood risk. They aim to lessen the impact of future flooding events by reducing not only the volume of water but its destructive speed. The goal is to reduce water velocity on Main Street by 60 percent. The entire project would take five years to complete at a cost of $40 million to $50 million, using a combination of federal, state and local money. Both Kittleman and Weinstein promised help to businesses that would be displaced in the process.